Trading machinery and equipment is common for all types of businesses. FINPACK allows for streamlined data entry of capital purchases, sales, and trades within its different tools. By entering extra detail on the FINPACK balance sheet, the details of these capital transactions can be brought into other FINPACK analysis tools, like Schedule F Cash to Accrual, Earned Net Worth Analysis, or Financial Analysis (FINAN). On the balance sheet, data entry fields are available within detailed capital asset entry for inclusion of the purchase price, year sold, and sale price of farm related capital assets. For a capital asset being traded: enter the year traded in the “Year Sold” field. Enter the “Sale Price” as the stated value received for the traded asset from the dealership or another purchaser. For the asset being acquired: enter the “Year Purchased” and the “Purchase Price”. The purchase price will be the “Sale Price” for the traded asset plus any “boot” or additional cash paid to acquire the asset. The “Market Value” is then listed as the estimated current market value of the asset. Trade transaction entry in a balance sheet. Handling a machinery trade in this manner is consistent with the taxable treatment of trades per the new Tax Cuts and Jobs Act. 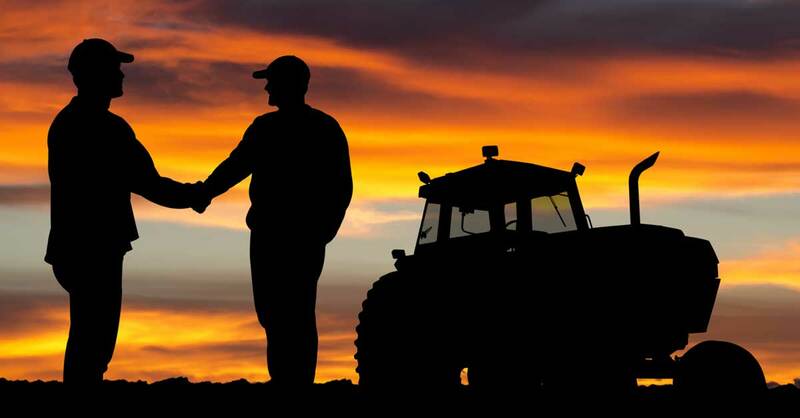 A capital gain or loss is now to be recognized with each transaction related to personal farm chattel property, such as machinery. Any difference between the Market Value and the Sale Price of the traded asset will be listed as a “Gain or Loss on Capital Sales” on the income statement. This will be added to or subtracted from net farm income from operations on the income statement to arrive at net farm income for the period. In our example above, the JD 4020 tractor is traded for $15,000, but listed on the market value balance sheet at $10,000. In this case, a $5,000 capital gain would be recognized on the income statement of a Schedule F Cash to Accrual Analysis or a Financial Analysis (FINAN) in FINPACK. Note: In this example, we have assumed market only balance sheets. If balance sheets reflect both cost and market values, entry of the traded asset will be the same as described above. The cost value of the newly acquired machine will equal the value received for the traded asset plus any additional cash or “boot” money paid in the transaction.